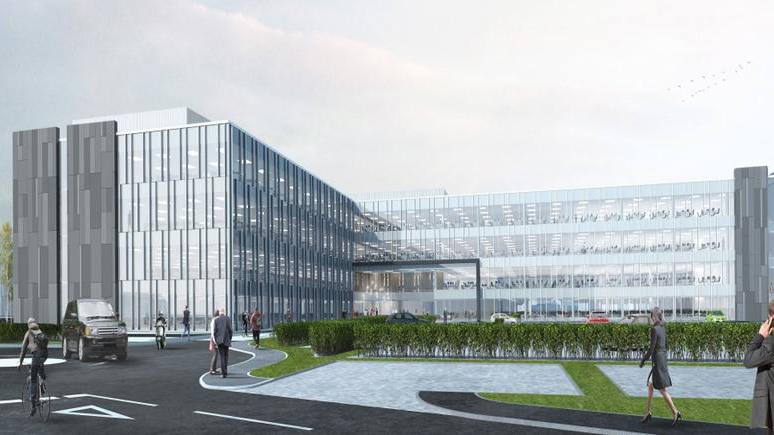 CityPark1 campus is located on Hareness Road, in Aberdeen and is the new home for 1900 employees of the Wood Group. 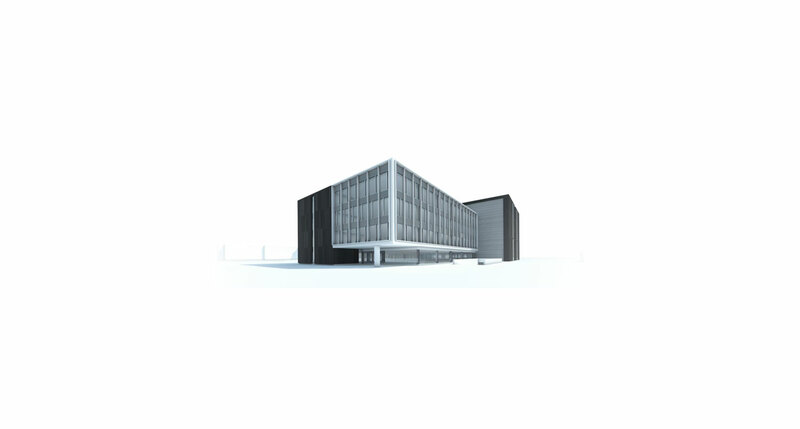 The bespoke 215,000sq ft office plate with a single storey basement. The employees are spread over 4 floors, and enjoy a Grade A office space fully designed by Michael Laird Architects. The brown field site at the Nigg Car park contained several challenges including a culvert cutting across the site, as well as an opportunity to carry out a cut and fill exercise in order to develop the full masterplan site. The single storey basement was constructed with a king post temporary works solution enabling the drainage diversion and other sensitive infrastructure to run past in close proximity to the new basement construction. Following a detailed Site Investigation carried out by our Geo-environmental team, it was determined that a raft foundation could be utilised on the site opposed to the original assumption of a piled solution. Adopting a raft foundation Woolgar Hunter, in conjunction with Brook eld Multiplex, could accelerate the programme as well as deliver a more economical solution to our commercial client. The superstructure column layout was designed to work with both an office space planning grid and the car park below, generating a flexible layout and maximising the number of car park spaces. The long span steel frame spanned 16.2m. Clear span was constructed with a cellform beam solution integrating the services within the beam depth. The back to back spans resulted in 1 row of internal columns for the 32m span floor plate. With a long span steel solution analysing the defections, floor zones, tolerances and response factor was key to the building performance. The CityPark1 Campus included for several carparking bays to suit the high number of employees. As well as a single storey car park basement, Woolgar Hunter designed a single storey concrete carpark deck. The deck was enabled following a detailed cut and fill exercise where the team soil modification in the form of lime stabilisation to help modified the highly silty material, whilst incorporating the SuDS and landscape features into the campus design. Woolgar Hunter assisted with the management of the quality control by carrying out a Resident Engineer role out at the early stages of the project.